Your customers’ purchases should set the limit, not your site. Thinking about your ecommerce site performance on peak shopping days like Black Friday is becoming more important. It makes sure you take better care of your customers, and ultimately better care of your brand. You want people to shop until they drop. Not until your site drops. Black Friday has taken retail by storm in the last few years and is crucial to company profits. A few years ago, the last Friday in November was as normal as any other. Today, 47% of Swedish people plan to go bargain-hunting, according to Swedish consumer institute Svensk Handel. This year the retail industry expects a rise of up to 25% on 2017 to a figure approaching 6.6 billion SEK (around €640 million). 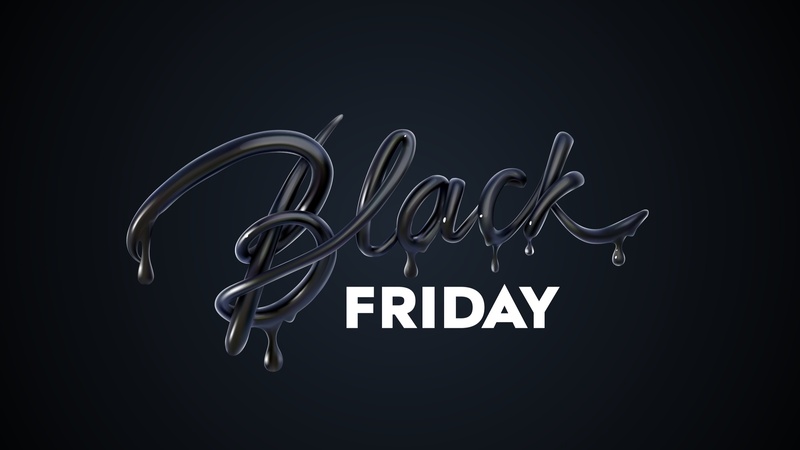 But Black Friday could become very black if your site is not dimensioned for the extra traffic, or customers find shopping on your site downright difficult. Instead of a sales boost, the effect on your brand through a poor online shopping experience could be catastrophic. Don’t think about performance a month before. According to Tobias Ekholm, Senior Project Manager at Avensia, performance is key whenever you want to run campaigns, or even when you build new functionality into your site. It’s really important to estimate the increased throughput when campaigns will put a heavy load on performance. If you increase load capacity by 100% compared to the previous Black Friday, you know you will always cope with any extra load compared to last year’s peak. Monitor and identify bottlenecks, perform profiling on the web front end and on SQL search queries, etc., to ensure consumers have the best experience possible. Make sure you handle images correctly. Incorrect use of images on an ecommerce website is the fastest way to spoil user experience. Many sites either contain images that are too large, have too many images, or images in the wrong format. Some sites may even load all images, even if they are not visible on-screen, so people only see them when they scroll down the page. Get your site to cache efficiently. Avensia’s Scope Framework ensures sites cache when customers navigate around them. That way, the site doesn’t have to reload. So, if they are browsing on a smartphone with limited data access from a Wi-Fi network or in a radio shadow, their experience will be as good as possible as so much information is cached, especially images. See how Avensia’s Scope Framework works with cache. Love your hosting provider. You really need to have an excellent relationship with your hosting provider should any problems occur. For instance, if you don’t know whether the problem is from an app or the hardware environment, a good relationship will fix this, or anything else – so much more quickly. Taking the steps above, plus adding a few more steps according to your specific situation is the way to successful sales on Black Friday, Cyber Monday, Christmas sales, Singles Day… Our teams are on hand to give you the advice and the technical solutions you need to make your sales a success. No matter what day it is.